The Charles County Sheriff’s Office is committed to actively hiring veterans and military spouses of the U.S. Armed Forces. The men and women of the Charles County Sheriff’s Office are dedicated to service through superior performance and we recognize the leadership, character and discipline that our veterans bring to our company. We believe mutual respect, trust and pride in our organization, combined with traditional values and innovative techniques, will ensure the community’s right to a safe environment. 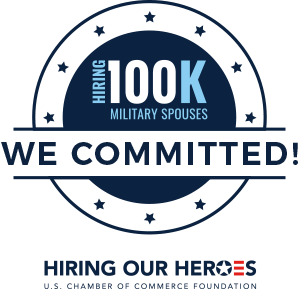 In November 2018, the Charles County Sheriff’s Office proudly joined major corporations in the Hiring 100,000 Military Spouses campaign. 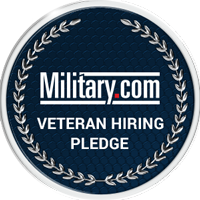 The campaign raises awareness of military spouse unemployment and encourages employers to make military spouse hiring commitments, ultimately resulting in a combined 100,000 military spouses hired by the end of 2021. The Charles County Sheriff’s Office is honored to stand by this campaign and provide employment opportunities to the men and women of the U.S. Armed Forces and their spouses. For more information on the hiring process, reach out to our recruiting unit at 301-609-5933 or 301-609-3903. You may also submit your application and a copy of your DD214 to recruiting@ccso.us. Former military personnel hold a special place in the heart of police department recruiters across the U.S. The qualities of a great police officer are virtually identical to those of a great soldier: both have a desire to serve their country and community and protect people and their rights. A career in law-enforcement may appeal to those with military service due to its similarities with military structure and practices. 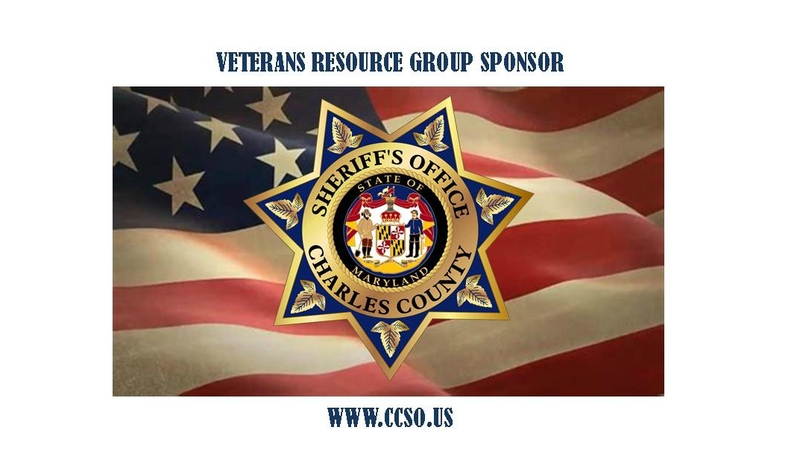 The Charles County Sheriff’s Office is proud to have a Veterans Resource Group (VRG) or ‘liaison’ who can provide general veteran-related information to applicants who have served or continue to serve in the military. If you would like to be contacted by a VRG sponsor, please contact the Recruiting Supervisor at 301-609-3903. 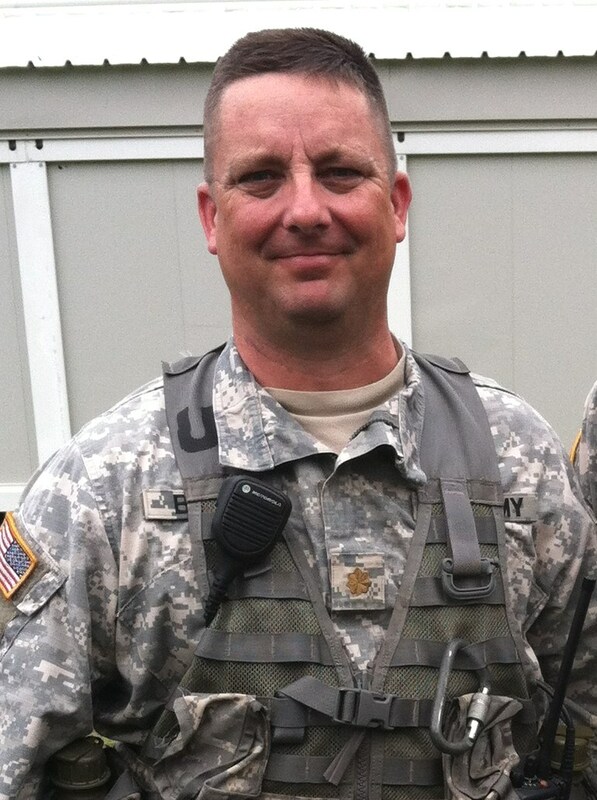 From Charles County, Maryland, MCPL Boggs is a 25 year veteran of the Charles County Sheriff’s Office and a 30 year veteran of the United States Army and the Maryland Army National Guard. Rick retired in 2014 from military service and had deployments to Korea, Germany, Guantanamo Bay, Cuba, and Afghanistan. While at the CCSO Rick has held assignments in the Corrections Division, Patrol Division, Community Policing, Alcohol Enforcement, Criminal Investigations Division, and most recently in the Homeland Security and Intelligence Section. While in the Intelligence Section Rick has had the opportunity to work in the Joint Terrorism Task Force. Prior to serving with the Charles County Sheriff’s Office, MCPL Boggs served on active duty with the United States Army in South Korea. After his active duty tour, he attended Charles County Community College, and Frostburg State University where he earned a Bachelor’s of Science degree in Geography-Urban Planning and earned a commission as a Lieutenant in the US Army. Rick is a graduate of the US Army Engineer Officers Course, US Army Ordinance Officers Course, and the Combined Arms Services and Staff School.